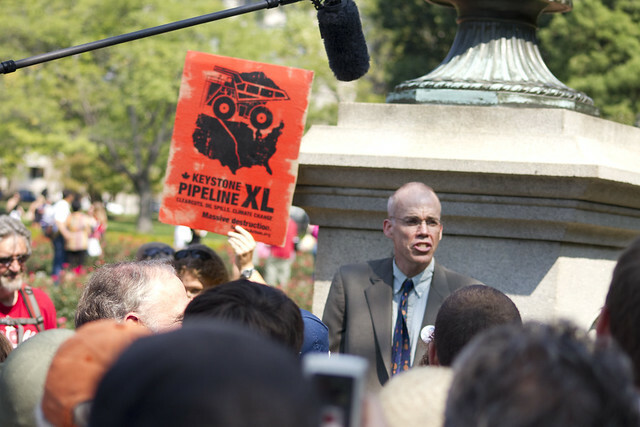 Subject: BREAKING: Bill McKibben sent to jail -- and how you can help. Bill is just getting out of prison after spending 48 hours in a tiny cell -- and here in DC spirits are high and resolve is strengthening with each passing hour. For the past three days, large groups of Americans have joined a non-violent civil disobedience action at the White House. 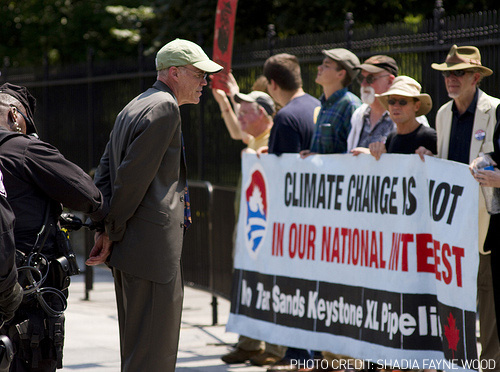 The goal is to send President Obama a simple message: "Stop the Keystone XL Tar Sands Pipeline." These protests will continue over the next two weeks -- and what the activists in DC need more than anything is the knowledge that there is a massive global movement backing them up. 1. 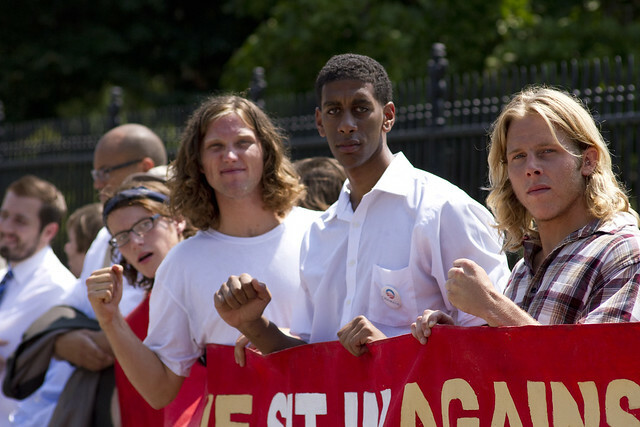 Sign the petition to President Obama to reject the Keystone XL Pipeline -- we've already rocketed past our initial goal of 35,000 signatures and are hoping to add as many names as possible before we deliver it to White House officials on September 3rd. 3. Take part in Moving Planet -- a worldwide climate rally on September 24 -- and move beyond all fossil fuels in the loudest, most beautiful way possible. You probably know that building the Keystone XL pipeline is a terrible idea. The oil it will carry from Canada's tar sands will travel all the way from northern Alberta to the Gulf of Mexico. Think: oil spilling all over America's heartland. Think: way more CO2 all over the atmosphere, since the tar sands are among the most carbon-intensive of all the fossil fuels. With so many strikes against the Keystone pipeline, it's understandable that folks are so fired up and willing to put their bodies on the line to stop it. 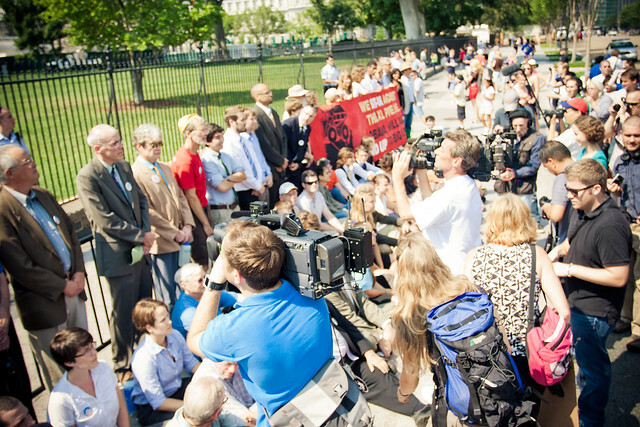 350.org isn't organizing the action in DC, but there's a separate website to find out more about the two weeks of daily sit-ins at the White House (today was just day #3). When nominated for President in 2008, Barack Obama promised that his administration would ensure "the rise of the oceans began to slow and our planet began to heal." It's not a protest I feel like I've been watching unfold here in DC -- but a big and beautiful reminder of that vision. P.S. Our friends in DC just made an beautiful video about Day 1 of the action in DC -- click here to watch it and be sure to share it with your friends on Twitter and Facebook. 350.org is building a global grassroots movement to solve the climate crisis. Our online campaigns, grassroots organizing, and mass public actions are led from the bottom up by thousands of volunteer organizers in over 188 countries. You can join 350.org on Facebook by becoming a fan of our page at facebook.com/350org and follow us on twitter by visiting twitter.com/350. To join our list (maybe a friend forwarded you this e-mail) visit www.350.org/signup. To support our work, donate securely online at 350.org/donate. What is 350? 350 is the number that leading scientists say is the safe upper limit for carbon dioxide in our atmosphere. Scientists measure carbon dioxide in "parts per million" (ppm), so 350ppm is the number humanity needs to get below as soon as possible to avoid runaway climate change. To get there, we need a different kind of PPM–a "people powered movement" that is made of people like you in every corner of the planet.